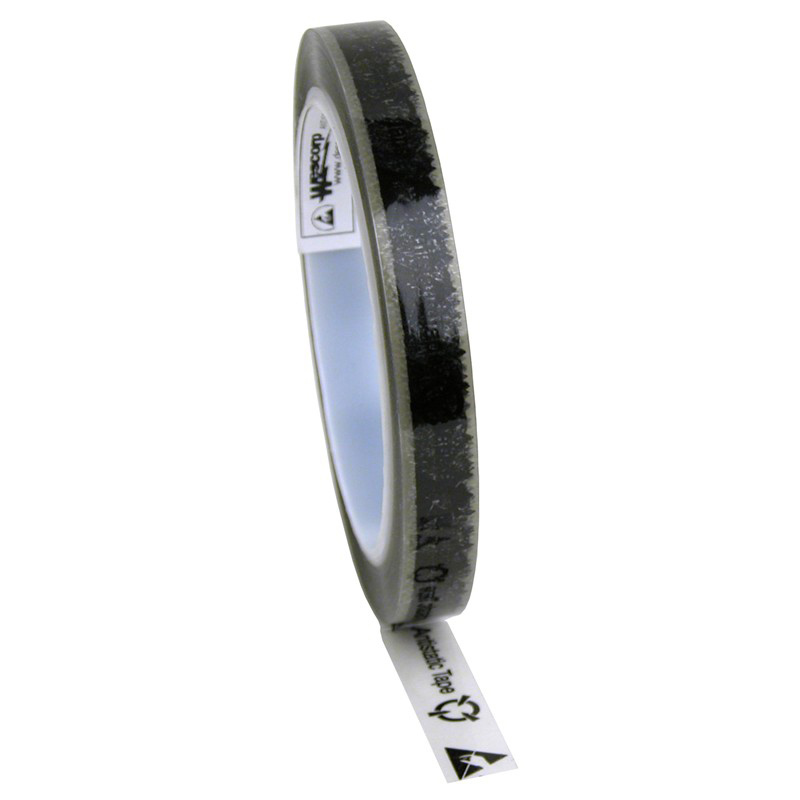 Wescorp tape generates less than 50 volts when unwound from roll (at 73°F, 45% RH average) making it safe to use around most ESD sensitive items. ESD symbols distinguish ESD version tapes from standard, non-ESD tapes. Minimizes foreign objects debris, particulation, and other contaminants when used in clean or sensitive areas. Tested per ANSI/ESD S11.11 to meet dissipative limits of packaging standard ANSI/ESD S541. Meets MIL-B-81705 for exposure to 100°C for 10 minutes max.